Companies and companions dealing in lightweight backpacking are sometimes shortlived. Since we have not had business with everybody nor continously check these links, some of them might be dead ends. Please write an e-mail if you have info that is of value about new companies or links or about old ones that have gone to meet their maker. Additionally you can check the links in Map of shops, where we welcome everyone to add the location of good outdoor shops worldwide. Lightweight backpacker and heavyweight adventurer. Personal description on how Alan and his son went from heavypackers to lightpackers. The world's leading site and powerhouse for the lightweight backpackers. Costs money, but worth it. Lots of contents on this site on many aspects of lightweight backpacking. Gear reviews and modification on light tents from an energetic enthusiast. Gustav Boström from Sweden, a founding member of Nordic Lightpacking. 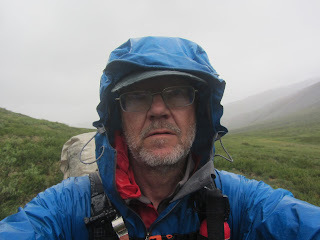 Very experienced long distance hiker, gear tester, writer, photographer and journalist. Hendrik Morkels is a founding member of Nordic Lightpacking. Lots of interviews with people in the lightweight community. Lots of interesting stuff on silnylon and waterproofing, among other things. Personal journey into ultralight backpacking. 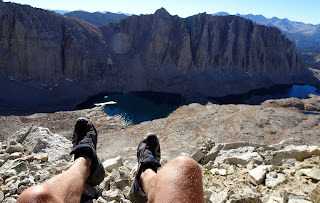 Very valuable info on many things regarding backpacking and quite a bit of ultralight. Rogers Brown's site. Roger is an Australian living in Denmark and a founding member of Nordic Lightpacking. Backpacking adventures of a Belgian couple. Lots of wonderful photographs. Few people have had more influence on modern lightweight backpacking than the author of Beyong Backpacking/Trail Wise. Ryan Jordan is the driving force behind Backpackinglight.com. Will Rietvield and Janet Reichls page. Both extensive contributors to Backpackinglight.com. Joe Newton, a Brit living in Norway, is a founding member of Nordic Lightpacking. Great Swedish site for MYOG enthusiasts. Good source for some lightweight fabrics. Excellent source for lightweight fabrics. A lot of interesting articles on how to sew ultralight things as well. The Homemade Stoves Archives. Loads of instructions for, yes, homemade stoves. The leading site and powerhouse for the ultralight community. Costs money but worth it. British site with lots of articles and gear. In FAQ there are tons of info from Roger Caffin, frequent contributor at Backpackinglight.com. Leading Swedish community for outdoor activities cooperating with Fjaderlatt. Web shop for lightweight gear from the UK. Unlikely name of a Danish webshop that sell some outdoor gear, including Big Agnes tents. Swedish online store specialising in multisport gear. Sells lightweight equipment, mostly from European producers. German shop with such brands as Gossamer Gear, Tarptent, Zpacks and Mountain Laurel Designs. Specializes in lightweight gear. Very wide range of gear. Small company with lots of light stuff. Interesting stoves. Spanish manufacturer of extremely lightweight clothing (mostly). Small company that specialises in tents, sleeping bags and pads. Small company specialising in ultralight gear, particularly packs and shelters. British company specialising in lightweight gear. Light and innovative trail runners and boots. Quilts and hammocks. Wearable quilts. German manufacturer of lightweight packs. Japanese company with light clothing and sleeping bags. Small company specilising in light shelters and packs. Small company specialising in ultralight quilts and sleeping bags. Light clothing and packs for mountain runners. Specilises in light down gear. Light and seriously affordable raingear. Small company specialising in ultralight packs and shelters. Leading manufacturer of light down gear. Also heavier stuff.